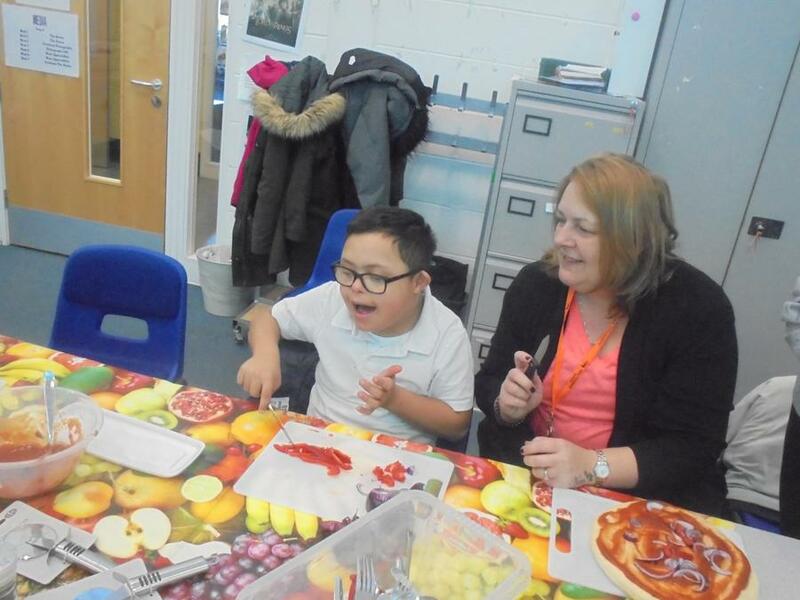 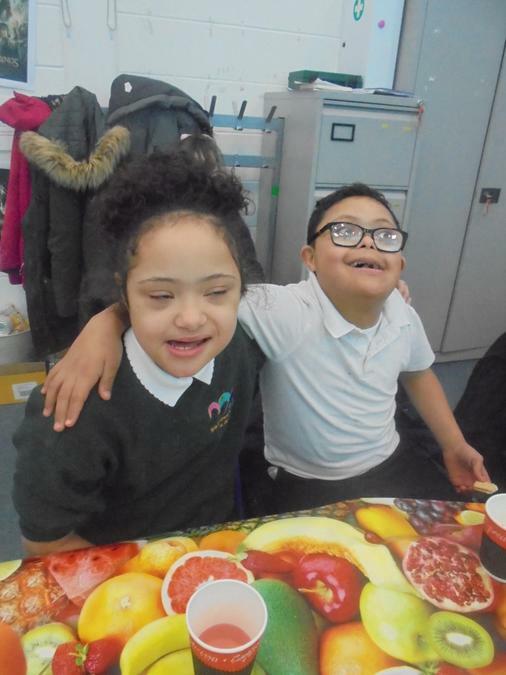 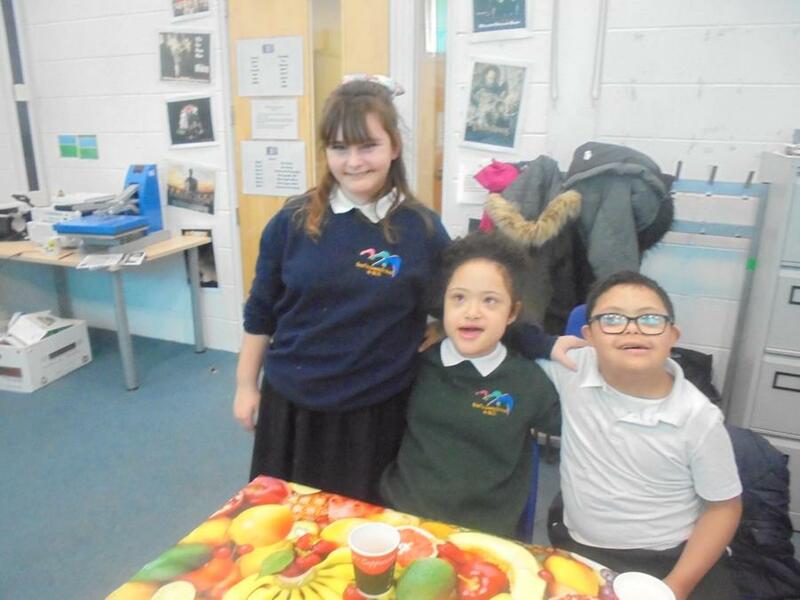 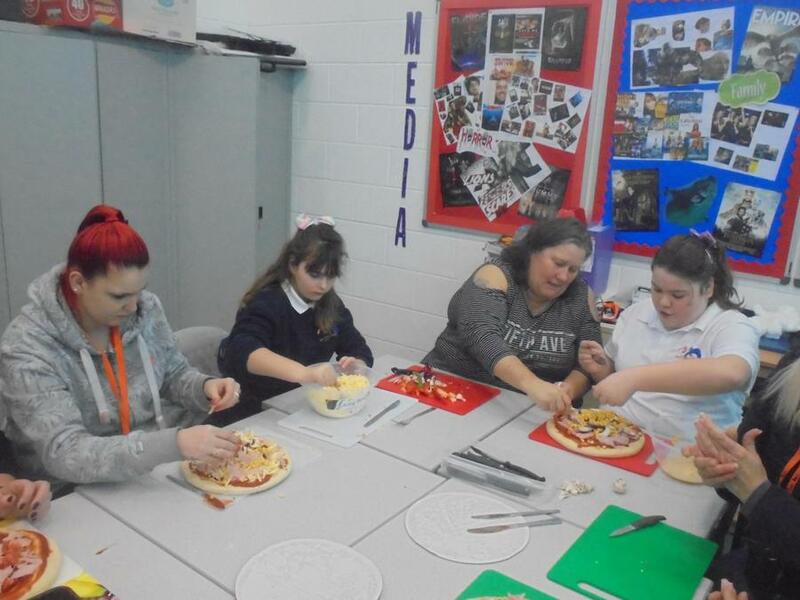 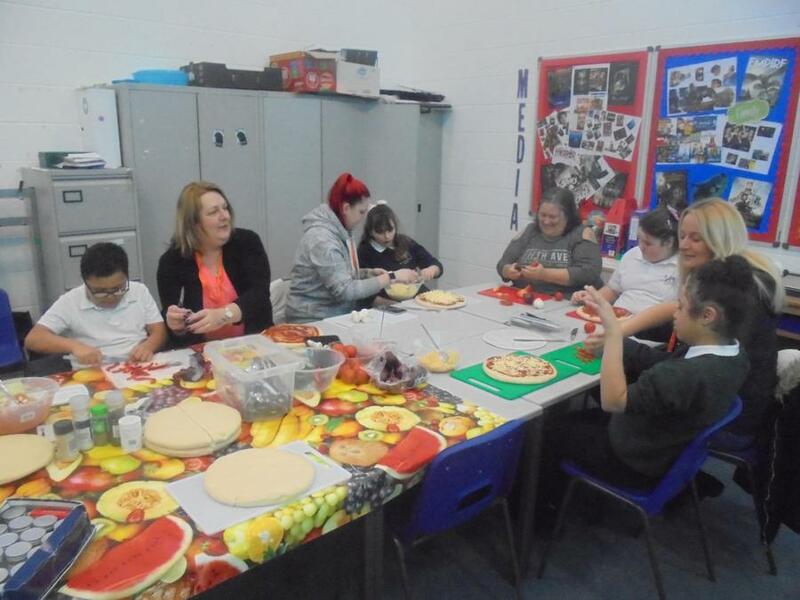 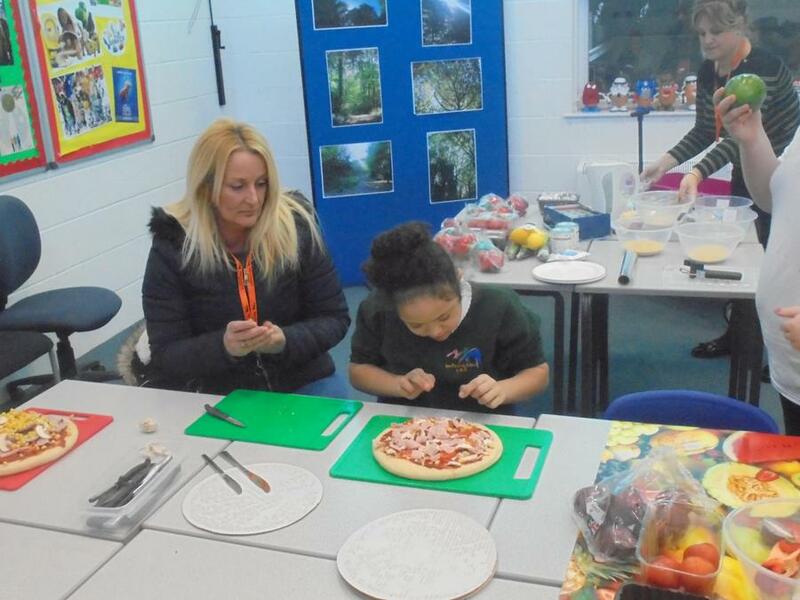 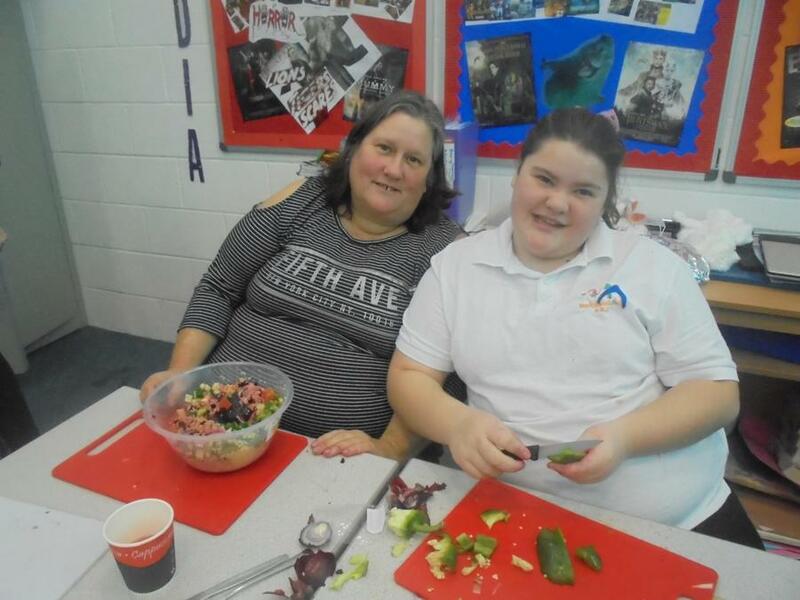 On Wednesday 17th January it was the first of our ‘Cooking With Your Child’ sessions. 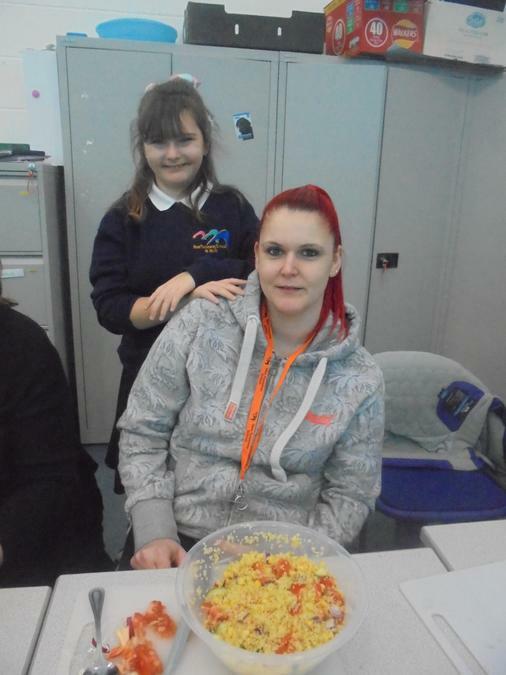 Working in partnership with Bristol Community Learning, we were joined by Laura; the cooking tutor. 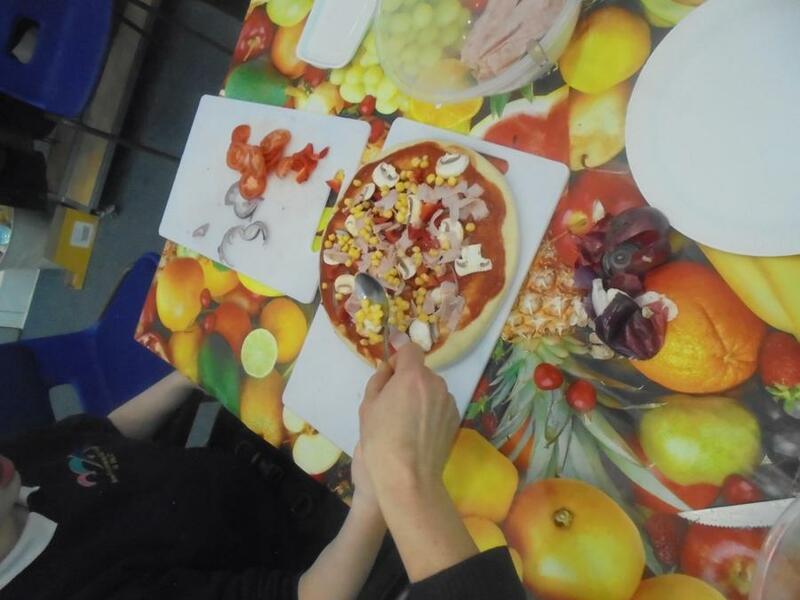 Laura taught us how to make healthy bulgur wheat salad and fresh pizzas. 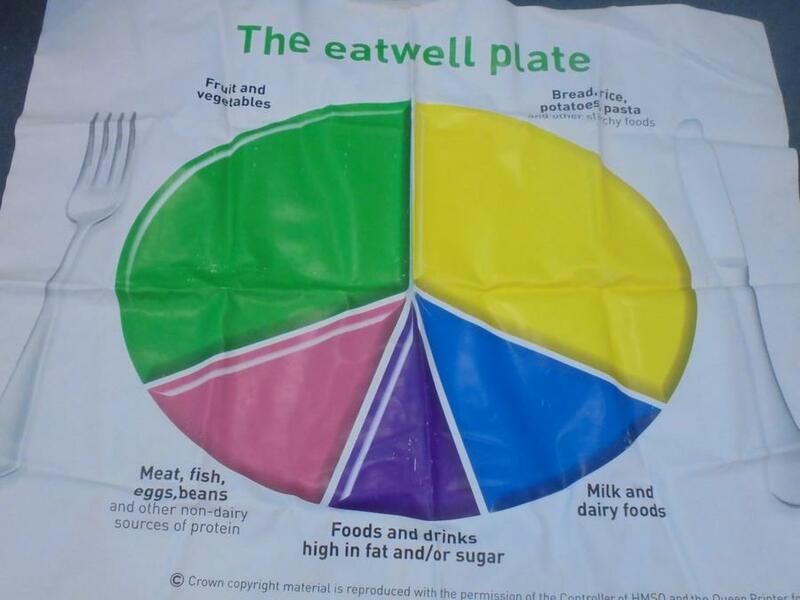 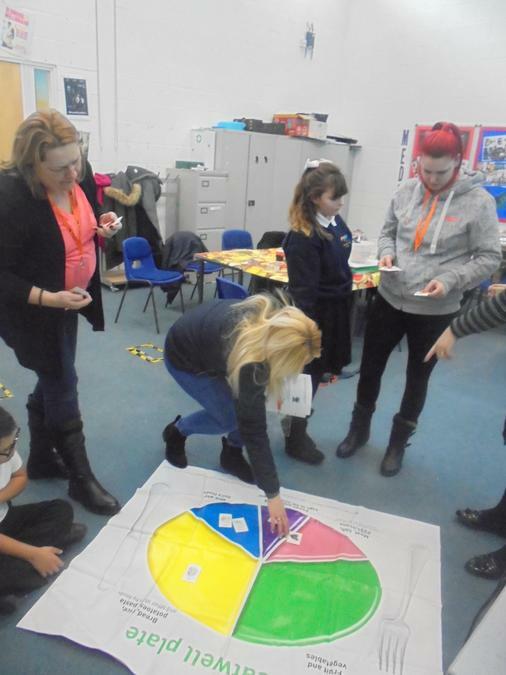 Laura also spoke to us about the ‘The Eatwell Plate’, we were all surprised to see how much sugar can be found in foods that we might consider as healthy options.